Jeff Tweedy is no stranger to hardship. He’s front man for one of alt/indie rock’s most well-respected bands, but Wilco wouldn’t even have existed if not for the collapse of legendary group Uncle Tupelo, a break up that many alt-country historians still blame on Tweedy. The 2001 completion of Wilco’s best album, Yankee Hotel Foxtrot, came at a steep price; Reprise Records dropped the group from its label and Tweedy fired band mate Jay Bennett (who years later committed suicide died of an accidental drug overdose corrected – ed.). In 2004, just before the release of the exceptional A Ghost Is Born, Tweedy entered rehab for treatment of clinical depression and addiction to pain killers. He described his climactic guitar solo on lead track “At Least That’s What You Said” as the sound of him having a panic attack. Fun stuff. Given that Wilco’s two albums since Tweedy’s recovery have been decidedly lukewarm and unchallenging affairs, you have to wonder if suffering really does make for better art. The Whole Love (the band’s eighth album and first on their own label, dBpm Records) argues otherwise, often convincingly so. A clean and sober Tweedy still confronts demons, but they’re the kind of burdens we all bear, such as mortality, lack of faith, and loss. Musically, the album recaptures the band’s distinctive equilibrium between edginess and ease; there are odd arrangements, spacey synths and jarring cacophonies, but lots of great melodies and guitar riffs, too. 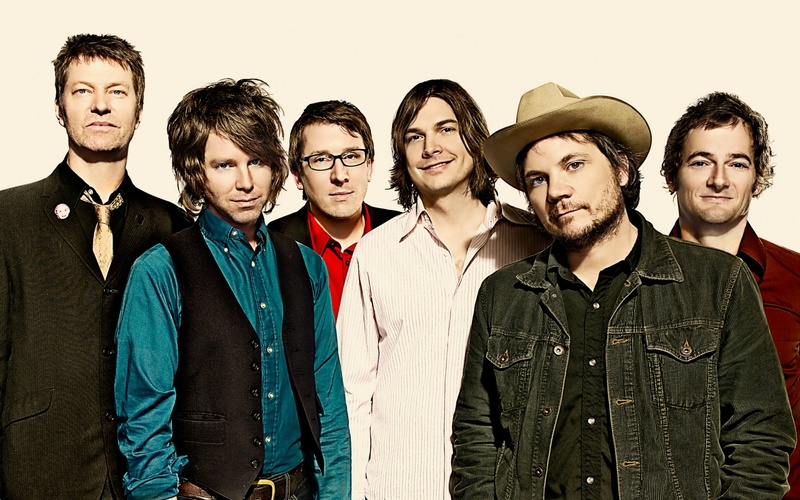 Ten years removed from their masterpiece and on the verge of slipping into mediocrity, Wilco has regained form with a balanced album of unexpected vigor, warmth, and hard-fought maturity. Tweedy has a history of counterbalancing euphony with abrasive noise (see old favorites “Via Chicago”, “Poor Places,” and “Muzzle of Bees”), and The Whole Love begins in this same vein. “Art of Almost” is a roller coaster of an opener, bursting with synthesizers and percussive sturm und drang; Glen Kotche remains the band’s secret weapon, a drummer of impeccable instincts who expertly switches from jazz inflections to rock backbeat to motorik pulse. Guitar squawks, gurgling bass lines, and barrages of piercing feedback are embedded in the song’s melodic core like dark spots on a diamond. Tweedy has been plagued by debilitating migraines since childhood, and you wonder if his experiments with sonic dissonance are an artist’s portrayal of that condition. If so, the sounds faithfully recreate the ordeals of their creator, leaving you exhausted and shaken. There’s plenty of Wilco’s trademark beautiful melancholia on this record — that trick Tweedy plays by pairing depressing narratives with upbeat melodies. “One Sunday Morning” is a classic, ruminative long-play in which Tweedy candidly shares his heartache over lilting piano runs: “Something sad keeps moving, so I wandered around/ I fell in love with the burden, holding me down.” On “Born Alone” Tweedy manages to sound wizened, woeful, and triumphant all at once. Over cheery chords, he professes “sadness is my luxury” and “I was born to die alone” just before the song’s raucous guitar riff decelerates into nothingness. This is still the guy whose answer for “How to Fight Loneliness” was painfully simple: smile all the time. But this album exudes a real sense of hope and vitality, too. The rollicking “I Might” has one of the catchiest hooks Tweedy’s written in years, and “It Dawned On Me” isn’t far behind, with a goose bump-inducing harmony of “ahhhhhhs” at song’s end. They’re both spunky, pleasure-inducing rockers you can’t help but hum along to. Conversely, one of The Whole Love’s most moving moments is also its gentlest. “Rising Red Lung” is a softly strummed mediation on Tweedy’s quietude that feels warm, personal, and effortless: “Found a fix for the fits/ Come listen to this/ It’s buried under the hiss/ And it glows.” He could be alluding to sobriety or spirituality; then again, he might just be describing a good Wilco record. The Whole Love brims with this sort of self-referential affection, recalling the finer qualities of Wilco’s past works like A Ghost Is Born’s tight songwriting, the sunny Beatlesque chords of Summerteeth, and Being There’s earnest country bite. By the same token, there’s nothing unfamiliar or stylistically jaw-dropping on it, which for a band that has made its living on tectonic shifts in sound and brave creative leaps, is a legitimate criticism. And yeah, the album does get a bit soft around the middle. But even this flaw somehow feels like a fitting metaphor given that Tweedy and company are now a bunch of guys in their forties. “Outside, I look lived in” Tweedy sings plainly, neither dwelling on nor denying the inevitable encroachment of his old age. It’s the sound of a man who’s come to accept his human condition and find comfort in his own skin. The Whole Love is easily the band’s best collection of songs since A Ghost is Born and probably their finest studio craftsmanship since Yankee Hotel Foxtrot. In the last half decade, Wilco have spent a lot of time shifting between complacency and contentment, but here they truly sound complete — a band bringing its full powers and wisdom to bear. It’s the kind of late-career renaissance that very few rock artists have pulled off (Radiohead, Bob Dylan, and Sonic Youth come to mind) which only adds to Wilco’s considerable mystique. After all they’ve been through, it’s funny to think that one of the band’s greatest achievements might be growing old, gracefully. 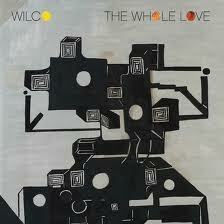 Buy The Whole Love on Amazon. You’re right Bus Uncle — I fixed the error. Thanks! This entry was posted on September 25, 2011 by Jeff Goodwin in Reviews, Wilco and tagged a ghost is born, at least that's what you said, glen kotche, I Might, it dawned on me, jay bennett, rising red lung, The Whole Love, Wilco, yaqnkee hotel foxtrot.